The Passport line from Haulmark Trailers is the ideal cargo trailer for recreational and light duty commercial applications. The 4′ to 6′ wide models are available from 6 to 12 feet in length. 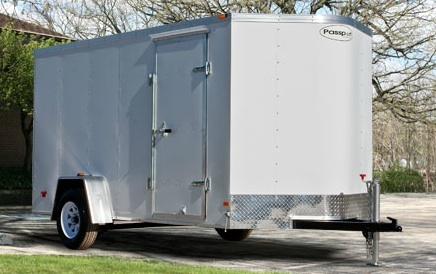 Specifically engineered for the entry-level consumer with light-duty applications, Passport cargo trailers come standard with V-Nose construction to improve handling and MPG while towing.